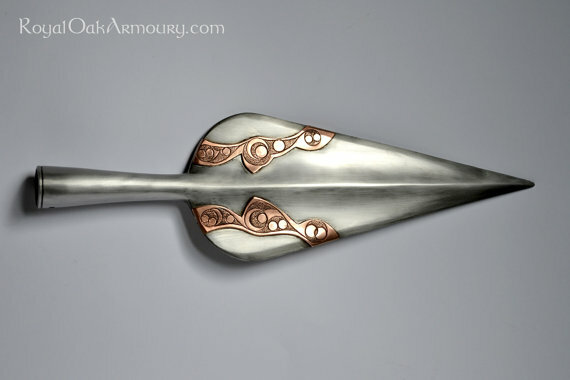 Based on a Celtic spearhead found in the Thames, and now in the keeping of the British Museum. Our version is made of two welded halves of hardened spring steel. Applied decoration is made of phosphor bronze, with designs faithfully reproduced from the original. Comes sharp, and with a rivet for fixing it you your own shaft. If you would like a spearhead based on a different original, just contact us.